1.1 PlayStation VR pre-orders are getting short even now. Accessories for the headset is even more so. Is virtual reality the new thing that will stay? PlayStation VR pre-orders are getting short even now. Accessories for the headset is even more so. Is virtual reality the new thing that will stay? The PlayStation VR launch will be on October 13. This means that retailers like Amazon, Best Buy and GameStop are starting to stock up some accessories for the new VR headset in town. 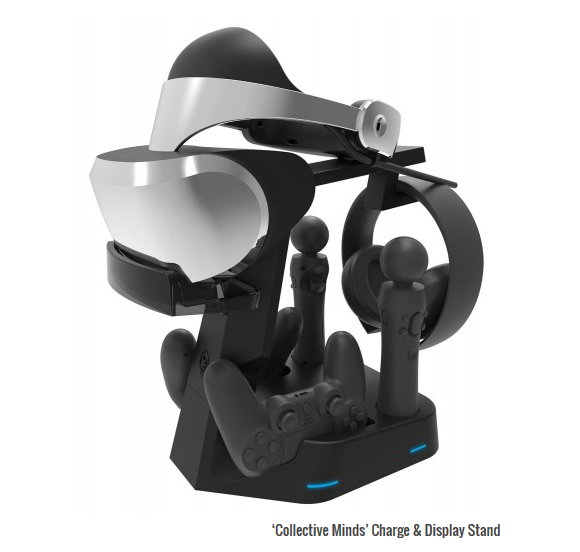 These accessories are aimed to make the PSVR charged up and ready for use plus making it mobile so you can share the allure of virtual reality for those who haven’t tried it out yet. Pre-orders for the PSVR is now out of stock. It started months ago in the United States even GameStop executives are reported to say that it is the quickest sellout in GameStop’s history. The retailer have ran out of stocks within 5 minutes. This shows how huge the user base for the PSVR is. Amazon and GameStop so far seem to have all officially licensed accessories currently, which for now are exactly two display stands with built-in controller charging cradles, and two robust-looking carrying cases. 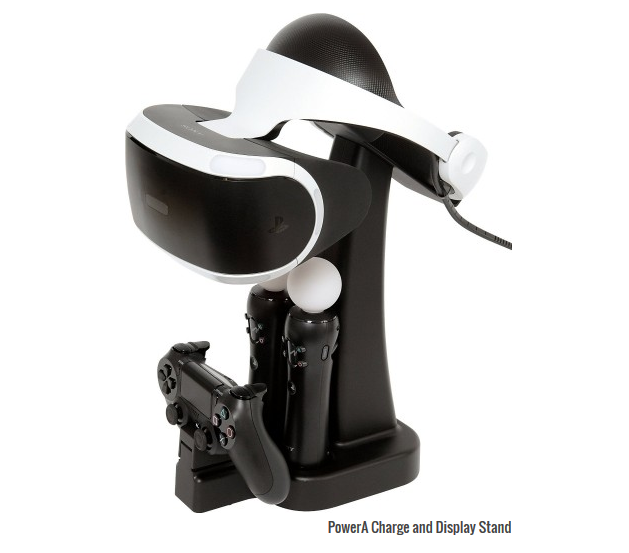 Very convenient way to charge all your PlayStation VR setup and juiced up all the time ready for use. 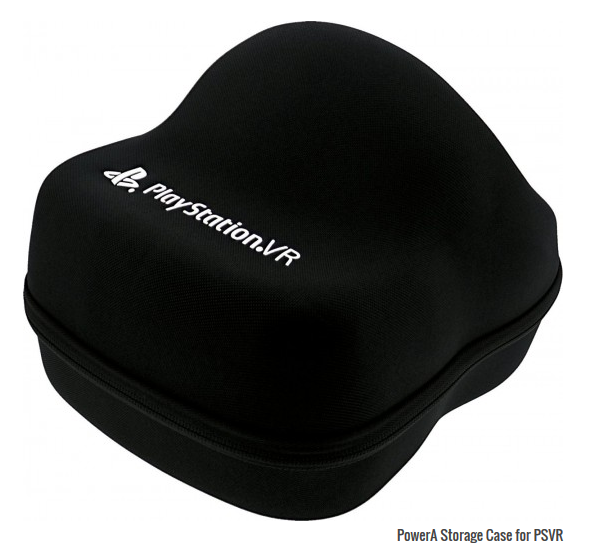 It can hold two Move controllers, one Dualshock4 controller, one PSVR but unfortunately, no place for headphones. For a much lower price, the Collective Minds can offer more value. This can charge two Move controllers, two Dualshock4 controllers, one PSVR and an additional USB port for rechargeable audio headphones. Now that’s even better. This carrying case have two main compartments. The bigger compartment holds the PlayStation VR Headset and HDMI/USB cables, while the second smaller one holds both the breakout box and AC adapter with cable. It’s unclear if it will be molded plastic or foam. 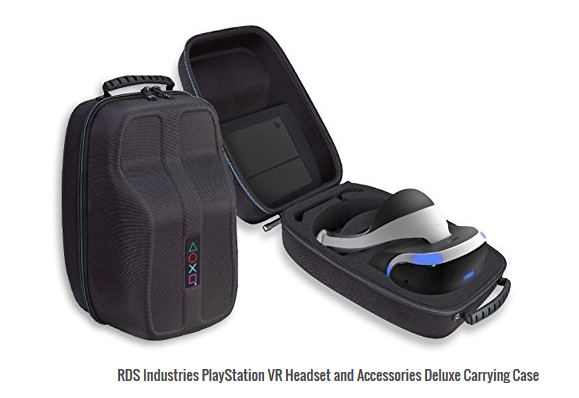 This is much cheaper but it seems that it will only accommodate the PSVR headset plus some cables. However, it won’t be a deal breaker for those looking for a more compact case that can be placed inside a much larger backpack.